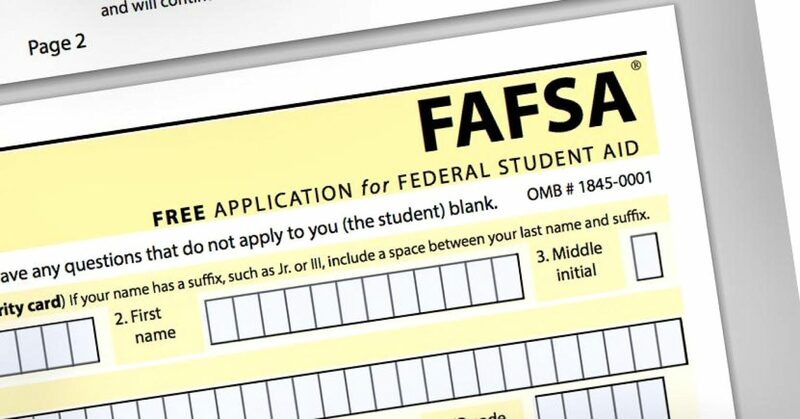 The Free Application for Federal Student Aid (FAFSA) is an online form that college students fill out annually to identify their eligibility for federal aid. Some of this aid includes Pell Grants, MAP Grants (for students attending college in Illinois), federal student loans, and work-study opportunities. Plus, it helps colleges get a sense of what kind of institutional aid you may qualify for. As a Pullman Scholar, you are required to complete the FAFSA each year so the Foundation can determine your level of financial need. We encourage you to complete your FAFSA as early as possible to maximize your financial aid. There are some major changes for this year’s FAFSA cycle (2017-2018), and we want to make sure you are prepared! Starting with the 2017-2018 FAFSA cycle (October 1, 2016-June 30, 2018), two permanent changes go into effect. You can (and should!) file the FAFSA beginning on October 1, 2016 (as opposed to January 1st). You are also required to use prior-prior tax and income information. For this year’s 2017-2018 cycle, you will report 2015 income and tax information. If you’re scratching your head and wondering, “But, didn’t I use 2015 tax information when I filed the FAFSA last year?” Yes, you did. For this year, students will use the same tax and income information as they did on last year’s FAFSA. It’s important to note that even though you are using the same tax information as last year (2015), information from your taxes and other finance-related data will not be automatically transferred from the 2016-2017 FAFSA to the 2017-2018 FAFSA. According to the Department of Education, the major goal is to streamline the financial aid application and receiving processes. They want to make it easier for the students and families who need the funds the most. It is important to note that just because the federal deadline has been modified, this does not mean colleges and universities will or have moved up their financial aid deadlines. Generally speaking, these FAFSA changes have several implications which may affect students’ financial aid. The earlier filing date may cut down on tax extension requests at financial aid offices and make using the IRS Data Retrieval Tool easier (since taxes will already be filed). It could also constrain financial aid budgets since students and families may have more time to review financial aid awards and appeal these decisions. Some of these benefits are discussed more in the next section. If you need help moving forward with your FAFSA, reach out to your college’s financial aid office or check out the resources at the end of this article for some direction. Since this is the first year that the FAFSA is available in October, complications may arise from the shift. Be proactive about keeping up with deadlines and checking in with your college with questions. Please note: if you are required to complete a College Scholarship Service (CSS) Profile at your college, check with your financial aid office to find out if this deadline has moved up too. “Alignment, certainty and less pressure” are some descriptors the Department of Education is using to characterize the changes and benefits. It is expected that the financial aid application process will be more aligned with college and university timelines. Moreover, it provides a level of certainty for students and families since using prior-prior year tax information prevents you from having to estimate income information. Lastly, the added three months of time is anticipated to give students more time to explore and understand financial aid options, as well as apply for more aid before deadlines. Some other benefits include no longer needing to go back in and updating your FAFSA with non-estimated income numbers (since you are using tax information that has already been filed). You should be able to utilize the IRS Data Retrieval Tool (IRS DRT) to automatically import tax information onto the FAFSA. This is particularly helpful because students will not have to find their tax records or worry about tax information being entered incorrectly. Check out the resources below for more information about the 2017-2018 FAFSA.